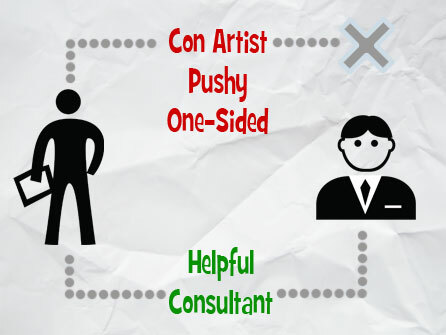 Become A Sales “Consultant” and Take the Hard Sell out of Selling. Sales force unite! It’s time to put to rest all the ugly sales stereotypes we have heard for years. Labels like “con artist,” “pushy,” and “one-sided” simply don’t hold true for the majority of individuals whose common traits are quite redeeming. Assertive, creating and caring are much more fitting descriptions of salespeople. Consulting leads you to assess and resolve the problems of your clients. Therefore, you must know your market. A sales consultant capitalizes on every opportunity to learn the product, market trends, clients’ industries and other pertinent information. Education in the form of trade magazines and seminars is a continuous investment. Consider your education a dual- purpose venture. 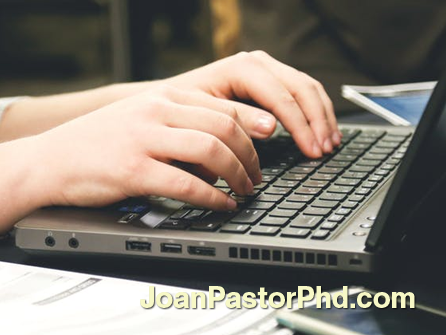 You must study to be competitive but also to become passionate about your field of endeavor. Passion comes from knowing something so well that it becomes yours. Without passion, you can’t be consultative. In her book Selling on the Fast Track, Kathy Arronson, executive director of Sales Athlete, Beverly Hills, CA, expresses passion in finding educated solutions for her clients. “The ability to solve problems creatively comes first from preparing yourself thoroughly by gathering all the information available to help you reach your goal, then by sorting or editing that information and using it to develop a fresh idea that best fits the needs of your clients’ prospects. If you do this, you’ll find that the fun of work is solving problems. At JPA International, Inc. we feel that the consultative orientation sheds positive light on the seller throughout the entire selling process. Buyers don’t want to be intimidated or pressured into spending money on something they don’t need. They want to be listened to and advised on how to come out ahead. The best way to show you care is to listen—a consultant never forgets this. In the final analysis, a sales consultant meets with success for being the kind of seller who knows his or her business passionately, knows the virtue of his or her product, knows his or her customer and, most importantly, knows how to put all these together so that everybody wins! Ask about our presentation of a five-part plan uses to sell services as an executive and leadership development consultant and coach. This is a step-by-step program. One step follows directly after the one before it. Understanding the introvert and the extrovert is essential for distinguishing those personality traits which are damaging or conducive to the introvert’s success in life. That understanding is key to working with patients who exhibit high introversion to the detriment of their happiness and general well-being. People often assume introverts are quiet, do not like people much, are in their heads a lot, and shun group activities. Many assume extroverts are the exact opposite. In truth, the differences between introverts and extroverts have little to do with these misconceptions. Instead, it has much to do with what I call “the allocation of energy.” Individuals who are introverted tend to feel energized by their thoughts, their ideas, and internal analyses. Introverts feel more energetic and passionate about their work when the energy comes from within. Extroverted individuals truly need and like people (Fishman, Ng, & Bellugi, 2010). Extroverts gain energy when they can interact with others; they literally take energy from their interactions. Regardless of orientation, the ultimate result of one’s social proclivity in life, introvert or extrovert, is that one feels more energized, bigger than oneself, better about oneself. One should not blindly label an introvert as shy, socially phobic, anxiety-prone around other people, a strictly thinker- type, or overly analytical. Although some introverts do have these traits, each person is unique and must be worked with in a different way. One way scientists investigate this question is by studying twins. Identical twins share all their genes, while fraternal twins share only half. So far, twin studies show the effect of genes is pretty significant (Bouchard, Jr, & Hur, 1998). But it is equally clear that, as stated above, no single gene makes you an introvert. Instead, being introverted or extroverted (or both—being “ambiverted”) is the result of various combinations of genes. Research indicates introverts are extremely vulnerable to sensory overload. It has been postulated that this causes withdrawal from external stimuli, including people interaction, as a means of self-protection (Schaefer, Heinze , & Rotte, 2012; Wired Up, 2005). Although a lot of evidence shows that introverts are wired differently from “party” animals (i.e., introverts have more activity in brain regions we use for problem-solving, making plans, and recalling events; Soglin, 1999), how individuals express their personality also may depend on where they live and how they were raised. As a parent of an introverted child, one mistake to avoid is encouraging the child stay with their friend(s), while not addressing the anxiety he or she may feel in a large group. While we live in a social world and much of our livelihood and independence requires interacting with others, a parent could mistakenly push an introverted child into being “more social” or extroverted. This is not necessarily wrong, but it has to be done very, very carefully. Introverted people are capable of being public personas (e.g., Bill Gates, Mark Zuckerberg, J.K. Rowling). They learn to use specific skills for being “on” when they are interacting with other people. Nevertheless, key differences between introverts and extroverts are easily detected in social situations. Introverts will tire more quickly in groups of all sizes. They need much more alone time to go inward, to restore their energy, and to replenish themselves. An extroverted person can interact for much longer in social situations and with much greater enjoyment because they gain energy from people. Some of the best leaders in the work place are often introverted. Their strength is the ability to look at situations and to think about them deeply, plan or think things through before they respond impulsively, and cultivate the strengths of both extroverted and introverted employees. Another advantage introverts have in today’s workplace is that business is Internet/technology-based, requiring the ability to work in front of the computer for long periods. Social media is often a source of great comfort for the introvert. In the past, business was done mostly on site, in meetings, e.g., sales people generally sold in face-to-face meetings. As a consequence of advancing technology, today’s introverts can become quite successful in their own businesses. Helping introverts or extroverts involves both leading them to understand the source of their energy and examining their strengths and assisting in creating a more balanced lifestyle. Introverts need to be more socially engaged, and extroverts need to learn to withdraw and reflect. This approach helps introverts and extroverts take advantage of their strengths and develop themselves to operate optimally in the world, while simultaneously maximizing their personal happiness and satisfaction in life. 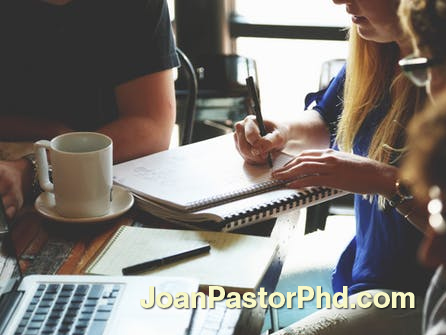 Joan Pastor, Ph.D., is licensed in both clinical and industrial-organizational (business) psychology. For more information, please contact her through The Healthy Brain and Body Centre of Beverly Hills or JPA International, Inc. She can be reached at Joan@JPA-International.com or US 1-760-945-9767. Her latest book is Success as An Introvert for Dummies. References available on request from the LACPA office, lacpsych@aol.com. Bouchard TJ Jr, Hur YM. Journal of Personality. Genetic and environmental influences on the continuous scales of the Myers-Briggs Type Indicator: an analysis based on twins reared apart. Fishman, Inna, Ng Rowena, Bellugi, Ursula. Cognitive Neuroscience. Do extraverts process social stimuli differently from introverts? 2010 Nov, iFirst, 1-7. Epub: www.psypress.com/cognitiveneuroscience DOI: 10.1080/17588928.2010.527434. Schaefer M, Heinze HJ, Rotte M. Neuroimage. Touch and personality: extraversion predicts somatosensory brain response. 2012 Aug, 62(1), 432-8. Soglin Becky. University of Iowa News Services. Brain activity differs in introverts and extroverts, UI study shows. 1999, Mar. epub: http://news-releases.uiowa.edu/1999/march/0329intro-extro.html. Wired-up. Lemon juice experiment. 2005, Mar 18. Issue: 22. Note that this is an online demonstration of research published in peer reviewed journals. The most needed skill is the ability to solve problems—especially people problems. Today’s business environment is a greenhouse for conflict: a heterogeneous work force growing more diverse by the day, intense competition at home and abroad, an economy which could go either way. Add to this the highly diverse and dynamic field of internal auditing, which because of the very nature of the work, creates the overwhelming potential for conflict. No matter how much you learn about conflict, no matter how excellent your skills become in handling it, no matter how great a master you are at even avoiding it, the truth is you’ll never get rid of conflict. Anytime you get two people together who think they’re even halfway intelligent, you’re bound to have some differences of opinion. But here’s good news, too. Even if you can’t totally rid yourself of opposition from and between others, there is much that you can learn to do to manage these conflicts. We grow the most through learning how to work through our differences. We learn we can disagree with someone but still like him—or at least respect him. We see that the best friendships and the most creative working relationships are those that allow differences of opinion. 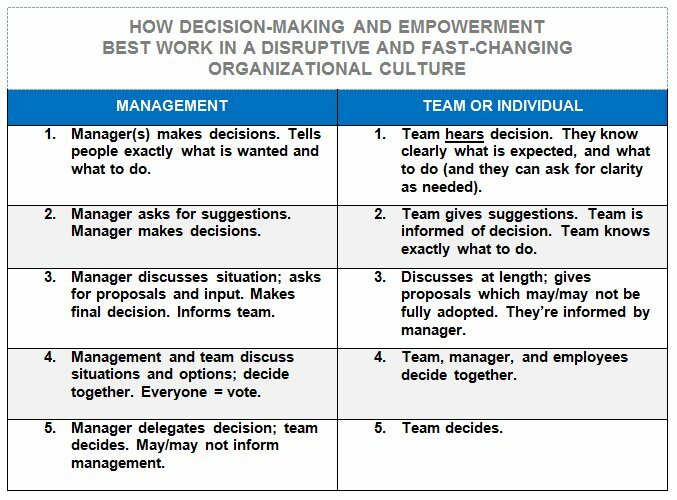 The six steps below will increase your ability to work through differences with others in all areas of your life and restore the ability to be a team in the workplace and at home. If there is one thing I have learned in my life, it is to try not to speak or to take action out of anger. That’s pretty difficult, because like many people, I am most encouraged to give a piece of my mind when I am hot under the collar. Unfortunately, my mind is definitely on hold when the emotions take over, and when reason finally returns, I invariably regret having given in to impulse. Whenever possible, put distance and time between your reaction and action so that you can let sanity return to think things through. If there is a way to give both you and the other party time to cool off when tempers flare, do so. The best way to prepare yourself when you know you are going to meet with someone where emotions will be high is to do a “dump sheet.” Take a legal-size pad of paper and pen and find a place where you can be alone for five to ten minutes (that might be the hardest part). Then write down all your thoughts, feelings, beliefs, concerns, worries, anxieties, emotions, hates, biases, prejudices, nasty words—anything and everything that is on your mind and in your heart at the time. Do not censor anything. It is critical to get it all out on the paper. 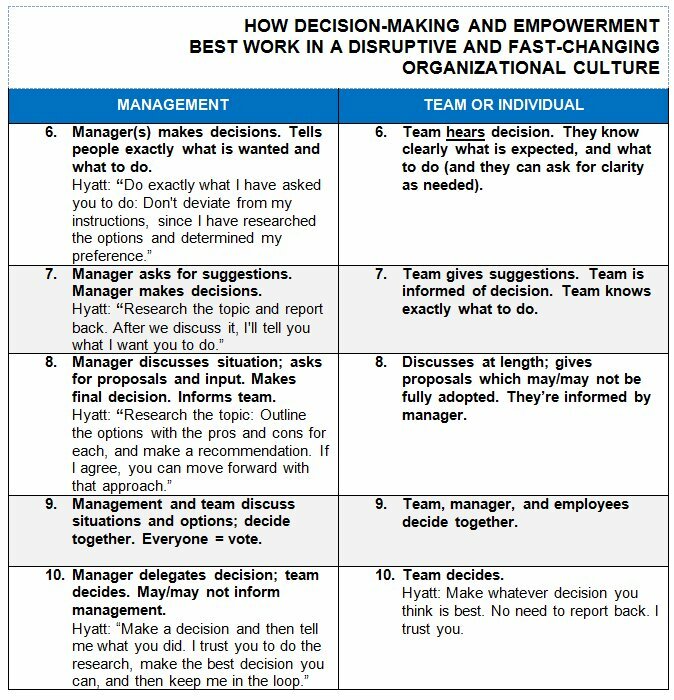 Doing a “dump sheet” allows you to move from a subjective place to a position of objectivity. It allows you to see what is really bothering you and why, to see if you are making a mountain out of a molehill, and to see the best strategy you can take with the person to whom you will be talking. Once you have done your “dump sheet,” the best course of action will become clear to you. Asking questions and being genuinely interested in the other person’s feelings about the situation are critical to getting to the root of a problem. But the single most powerful communication tool to use for reestablishing rapport and getting to the truth is to paraphrase. You may not agree with their point of view, but you are really trying to see it from their vantage point. That will encourage them to do the same. Study after study shows that frequently summarizing what the other is saying when in conflict does more than any other communication skill to promote harmony and reestablish rapport. In fact, when extremely successful sales people were studied closely to see what made them different from the average salesperson, they found that the superior salesperson paraphrased and summarized an average of four times in a seven to eight minute conversation. Once you have gotten all sides of the story, it is now time to see if you and the other party have any areas of agreement. One thing I have learned is to take a big sheet of paper (those legal-size pads really come in handy), put a dividing line down the middle, and together list the issues you agree on and those you don’t. If it is in your interest to promote agreement, then make sure to think of all the possible little things that you both agree on and write them down, encouraging the other person to do the same. In the “Disagree” column, write down only the main issues. This process has the psychological effect of making the areas of agreement look greater and the areas of disagreement look smaller. It also helps you both to see whether you at least agree on what’s important; i.e., if you share common values. If the above three steps occur, taking ownership for how you might have contributed to the problem becomes the natural next step in the process. Most of the time, all parties involved in the discussion contributed to the problem in some small or large way. What do you do if the other person has a poor history of telling the truth or keeps throwing blame? It is important to assert to this person in a professional and clear tone of voice where you see his or her contribution to the problem. Then, take responsibility for your own portion. Finally, reiterate in summary form where you see his or her contribution. If you have gotten this far in the communication process and still get nowhere, then it would be best to end the meeting and try again later. You can also try using a mediator. If the other side seems open to working with you, as soon as you see how you have contributed to the situation, own up. This will often take the other person off the defensive and increase the chances they will own up as well. I have learned if I own up even for something small, such as not communicating clearly enough the importance to me of being on time to staff meetings, the other party may be more willing to admit that they are late because staff meetings are a waste of time. That will allow us to then look at how meetings are not working (and what both of us can do to make them more productive). Taking ownership often means allowing honesty to come to the surface and it is important not to take it personally. Remember, honesty is best for getting to the real difficulties and moving into problem-solving. Finding solutions becomes a lot easier once trust and agreement areas have been established. A critical component to reestablishing the ability to work together at this stage is to engage in some form of brainstorming. 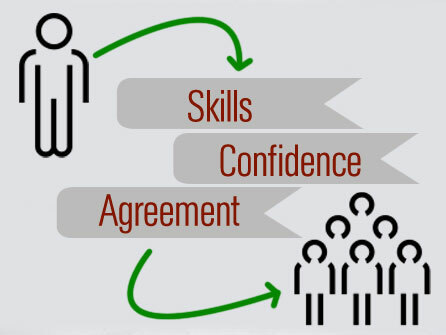 Unless you have the absolutely perfect solution already at hand, it is a wonderful skill to develop when building trust and camaraderie. When a solution has been found, it is important to write it down, especially if this is a problem occurring in the workplace. Also do a final summary of what occurred in this meeting together. I am constantly amazed at the number of times people remember the whole situation completely differently from each other, let alone the details. A written record (even if just a few words) and a final mutual summary of what went on will do a lot to prevent problems later on. Now that I’ve given you all this great information, how would you like a strategy that will be much more fun, has long-term results, and will bypass most of the work above? Psychologists see it as one of the most powerful tools for shaping behavior. What is this great invention? Positive reinforcement. To use positive reinforcement effectively requires a change in how you look at the other person. Try not to speak out of anger. Instead of focusing on the things he or she is doing wrong, start looking for the little things that are steps in the right direction. Then reinforce them. The reinforcement has to be something that will have impact and it should be applied as soon as possible after the positive action occurred. Praise, recognition, and being included in decision making usually have an even greater impact than money. Also, once you begin bestowing money, it’s hard to take it away.